It is important to remember to be patient and optimistic when providing pediatric speech-language therapy services. 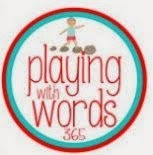 Often times, children will not immediately learn speech language strategies. It takes repetitive verbal modeling, visual cues, and tactile cues for kids to acquire new skills. Many children with intellectual impairments struggle with learning how to correctly pronounce various consonant sounds. When they are speaking with their parents, teachers, SLPs, and peers their speech is not readily understood. 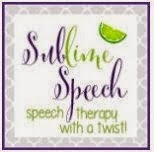 It is our responsibility as SLPs to help improve the speech intelligibility of these kids. I had a success story with teaching a child the correct tongue placement to pronounce her /l/ sound. This child struggled with elevating her tongue to accurately articulate this sound. Her speech was not easily understood when the context of conversation was not known. She was successful with auditory discrimination exercises to identify her target /l/ sound vs. other sounds. However, she initially consistently pronounced a /y/ for /l/ in words and sentences. So, I pulled out my hand held mirror and bag of tricks to get her to lift her tongue up. We practiced putting different food/candy items (e.g. smarties, cheerios) on the tip of her tongue. She demonstrated a lot of groping behaviors and eventually the food items would melt in her mouth or she would chew them. Now I know it is usually best to pair with the actual sound production, but I was having difficulty getting this child to attempt any articulation drills. So I decided to try using food. I also had her try to imitate lifting her tongue while saying the /l/ sound in isolation. She still said y/l or distorted the /l/ sound. I modeled for her how to practice the sound at the syllable level with vowels, but of course she was at 0 % with that because she did not have the correct tongue placement. I read aloud fiction text and emphasized the target /l/ sound. She really benefited from hearing multiple productions of the sound in a natural way during oral reading of a story. 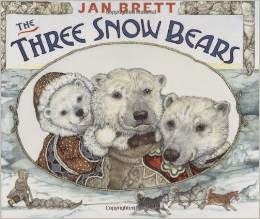 She loved the story, The Three Snow Bears, by Jan Brett. I must have said the words Polar Bear and Alooki, a character's name, a million times! Guess what! I stopped during my read aloud a few times and used a tactile prompt and verbal modeling with this child and she accurately said Polar with the CORRECT /l/ sound! I cheered for her loudly!!! I had her repeat the word several times as I touched her chin with my index finger and pushed down. This immediately prompted her to lift her tongue up! Auditory bombardment of target sounds is definitely an essential tool in articulation therapy. A tactile prompt was also key for this child to learn how to correctly elevate her tongue to say her /l/ sound. This little girl also struggled with motivation to practice her speech sounds. She recognized how difficulty it was for her so I always had to pair her speech drill work with a high preference activity. One day, I decided to follow her lead and told her that she would receive free time to play a computer learning game. She eagerly completed all her speech articulation drill work with me. She accurately imitated the /l/ sound in isolation and syllable levels when provided with verbal and tactile prompts! I was so excited once again and another student in her group even told her great job! She was soooooo happy and had the biggest grin on her face! We were all pleased at her progress and success! Now, I will continue to reinforce the strategies that were successful so she can produce her /l/ sound correctly in words. She is definitely more stimuable for pronouncing these sounds in words now! Hooray!!!!!!! Thanks for visiting the blog today. Nice article. There are few well-known Speech Language Pathologists in Kolkata who provide speech therapy. Looking forward to more informative articles from you. That is a very informative article. Thanks for sharing such useful information. Keep up the good work. I have found some interesting information on speech language therapy in Siliguri.